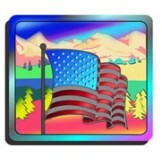 The "USA Flag" 1,000 PACK The hologram label is a 2D/3D hologram. Size 5/8"h, 16mm x 3/4"w, 19mm .. 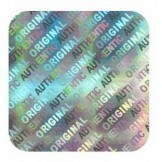 VALID OVAL 1,000 PACK The hologram label is a 2D/3D hologram. 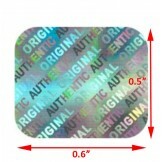 Size:- 5/8", 8mm h x 1",26mm w The .. 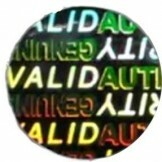 VALID ROUND 1,000 PACK The hologram label is a 2D/3D hologram. 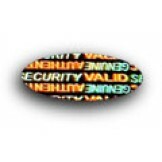 Size:- 0.55", 14mm Diameter The "S..
Holographic Sticker Square Authentic, Original "AUTHENTIC" 1,000 PACK The hologram label is a 2D/3..
Holographic Sticker Rectangle Authentic, Original "AUTHENTIC" 1,000 PACK The hologram label is a 2..